You don’t have to leave the Grand Plaza Hotel to make memories with the special people in your life. Pub on the Plaza offers the perfect place to spend time with friends and family enjoying some meaningful conversation over your favorite beverage and a delicious appetizer, or cheering on your favorite teams on game day with beer and pizza! Pub on the Plaza is located on the ninth floor of the Grand Plaza Hotel and looks out over the city of Branson and the beautiful Ozark mountains. 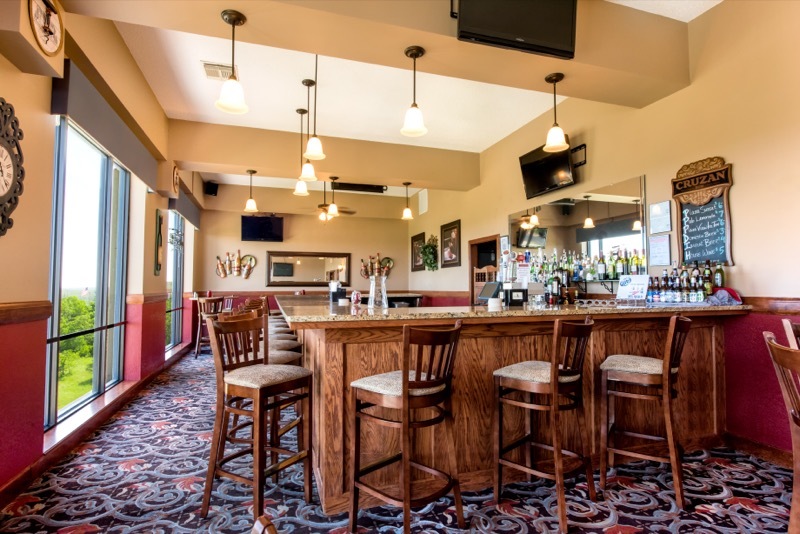 Our pub features happy hour specials, a wide array of your favorite draft and bottled beers and a wine list that is sure to please any connoisseur. We also offer a full menu until 8pm, and appetizers and homemade pizza from 8-10 pm.